Cardiff Tourist Information Centre Information CentreCall into Cardiff’s Tourist Information Centre located in the Hayes in Cardiff city centre for local information, maps and brochures. There are free Cardiff Visitor maps and leaflets to take away with you and you can also find out what is going on in Cardiff by looking at Visit Cardiff using our iPads. 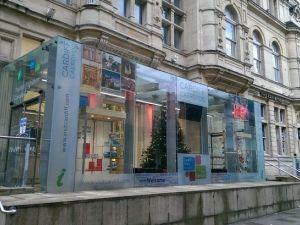 Call into Cardiff’s Tourist Information Centre located in the Hayes in Cardiff city centre for local information, maps and brochures.